Update: 3.4.2014 5pm EEST. The Acropolis museum visit is on. More info at the registration desk! After the end of the conference trips will be organized to Research Infrastructures, legacy and new, research exhibitions and cultural visits (Acropolis Museum). Buses will be organized to the above venues, subject to sufficient participation. 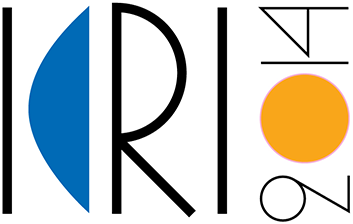 You can declare participation to icri2014@era.gr or during your registration and you would need to pay in advance at the registration desk (latest Thursday. 3rd of April 20:00). The cost will depend on participation and will be in the range of 15-25 Euros per person (for transfer and in the case of the Museum for entrance, guide and headset). 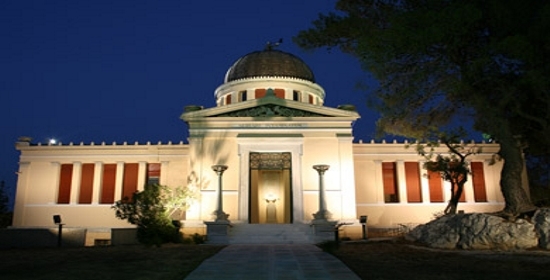 The National Observatory of Athens (NOA) was established in 1842 by the Vienna-based national benefactor George Sinas. It carries out state-of-the-art basic and applied research in collaboration with other world-leading research centers. The activities of NOA are organized in 3 institutes staffed with high quality scientific, research and technical personnel: the Institute of Astronomy, Astrophysics, Space Applications and Remote Sensing, the Institute of Environmental Research and Sustainable Development, and the Geodynamics Institute. NOA’s research activities are focused on the terrestrial interior, the atmospheric environment and Space, from the interplanetary medium to the astronomical Universe. Basic and applied research is conducted by using observational data from hundreds of ground based stations and several modern space probes. The Centre, with its rich scientific outcomes and activities, is linked to entrepreneurship, culture, education and the popularization of science. NOA offers critical social services, such as a daily monitoring of seismicity and issuing earthquake alerts to the Greek State Authorities on a 24/7 basis, weather forecasting, forest fires monitoring, ionospheric activity recording, continuation of a 150 years long climatic dataset and operation of one of the largest European telescopes. It also provides the national gate to the European Space Agency. The research centre has also an important contribution to public outreach via its popular visitors centers at Penteli, Thission and the Geoastrophysics Museum. On January 10th, 2014, the National Center for Scientific Research “Demokritos” inaugurated its Innovation Exhibition alongside the kick-off meeting for the new EU Framework-Programme for Research and Innovation “Horizon 2020” held at the Center. The Innovation Exhibition is located at the Library Building, where the Center is also hosting its Entrepreneurship Program. It constitutes one of the most significant actions to support “Demokritos” extroversion and aims at strengthening the awareness about Research and Innovation, at motivating the general public to participate in discussions about the role of science in R&D, and at creating business platforms for cooperation. For the 2nd International Conference on Research Infrastructures (ICRI 2014), the NCSR “Demokritos” will offer a tour to its more than a hundred innovative products and processes. The innovations are exhibited by Research Centers, Universities as well as private companies. The visitors will have the opportunity to learn more about the progress achieved though research and they will be able to have an insight to what is accomplished at the Greek Research Institutes and the Greek Companies.